Now, let me tell you the second series of iPhone App Catch Questions. 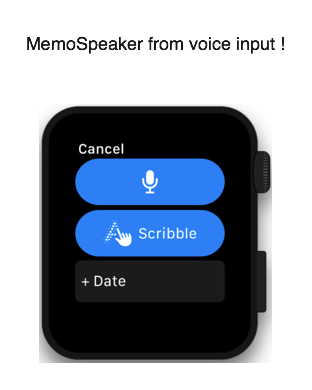 The App name is MemoSpeaker. This works not only on iPhone but also on Apple Watch. You can make the short cut on the setting of complications. After you start the app, call the menu with force touch. And, tap “add” to take your note. 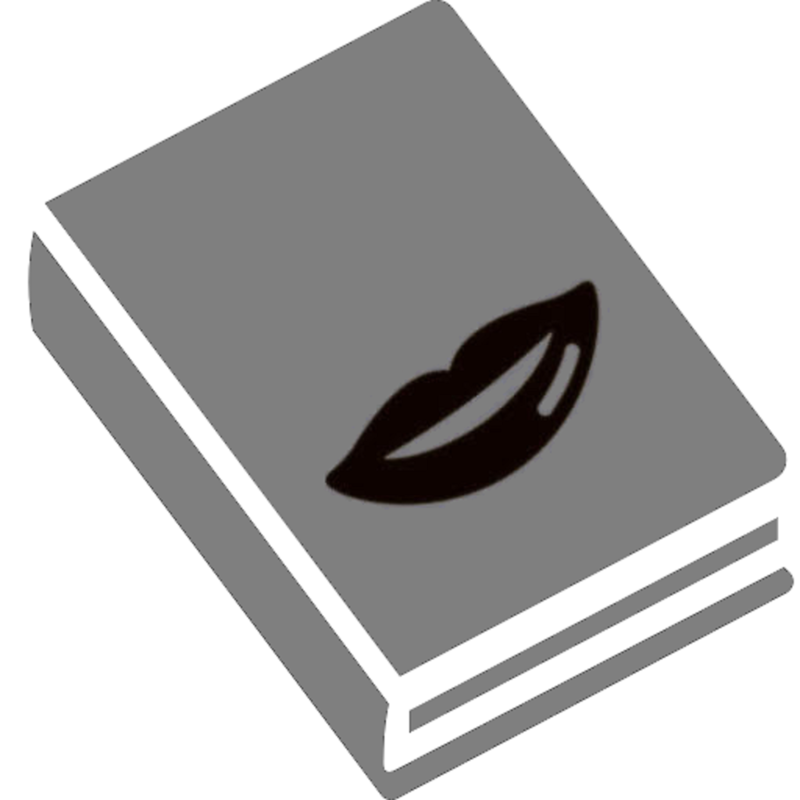 With the Voice input, you can say like this: “I will tell you how to use this app”. And, play the text. You can hear the sound. 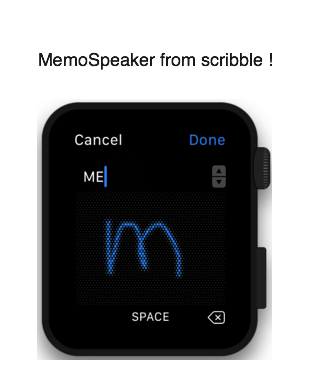 You can also use scribble. Scribble can be used on a few languages such as English. 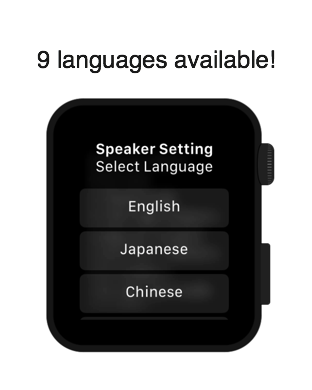 If you are not English speaker, you have to change the language with force touch. Finally, let me tell you the connectivity between iPhone and Apple Watch. On the screens of iPhone, there is no message now. 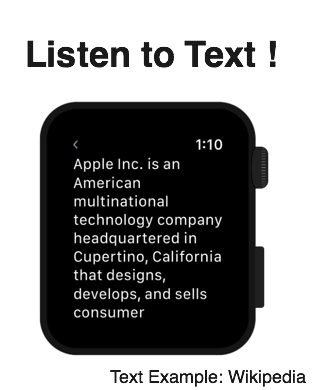 Let’s send the memo from Apple Watch to iPhone. Tap the button of “to iPhone”. Now, you can see the memo on iPhone, too. 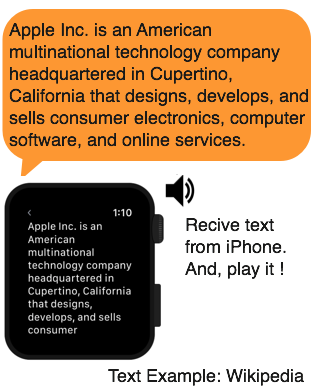 On the other hand, you can send the memo from iPhone to Apple Watch. To handle the long sentence, this is very useful. Just, copy and paste and send! You can change play speed, too. So, please try it!